GTA sales of super luxury models rose 48 per cent over the last three years. 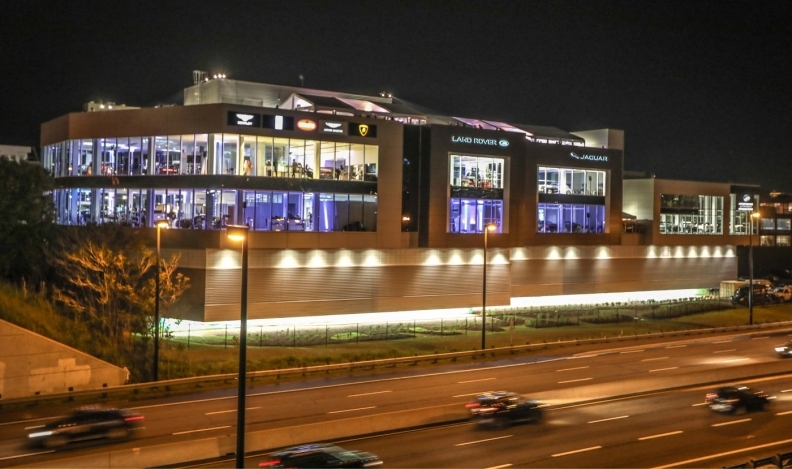 Expecting to double its annual sales volume of super luxury vehicles, Toronto’s Grand Touring Automobiles (GTA) has opened a new 141,000-square-foot (13,099-square-metre) dealership. The five-storey facility is the new home to Jaguar, Land Rover, Aston Martin, Bentley, Bugatti, Lamborghini and Rolls Royce. “The impressive flow of new products and the continued market strength across all of the brands we represent is the clearest evidence yet that the luxury and super luxury segments are established, durable pillars of the auto market,” company principal Paul Cummings said. The luxury segment has grown more than seven per cent nationally over the past three years, he said, adding that GTA sales of super luxury models rose 48 per cent over the same period. A large portion of the segment growth is attributable to new ultra-luxury SUVs from manufacturers like Bentley, Lamborghini and Rolls-Royce. Aston-Martin is expected to introduce an SUV in 2020.